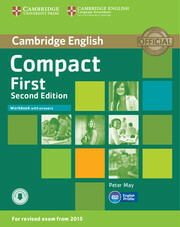 Compact First Second edition provides B2-level students with thorough preparation and practice needed for exam success. Ten units cover all five exam papers in a step-by-step approach. The Workbook units for homework and self-study provide further practice corresponding to the Student's Book units. 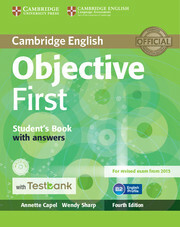 Each unit has four pages of exercises which consolidate the language and exam skills presented in the Student's Book. Exercises teach students how to avoid common mistakes highlighted by the Cambridge Learner Corpus. Audio material for all the Workbook listening tasks is available online to download. A Workbook without answers is also available.